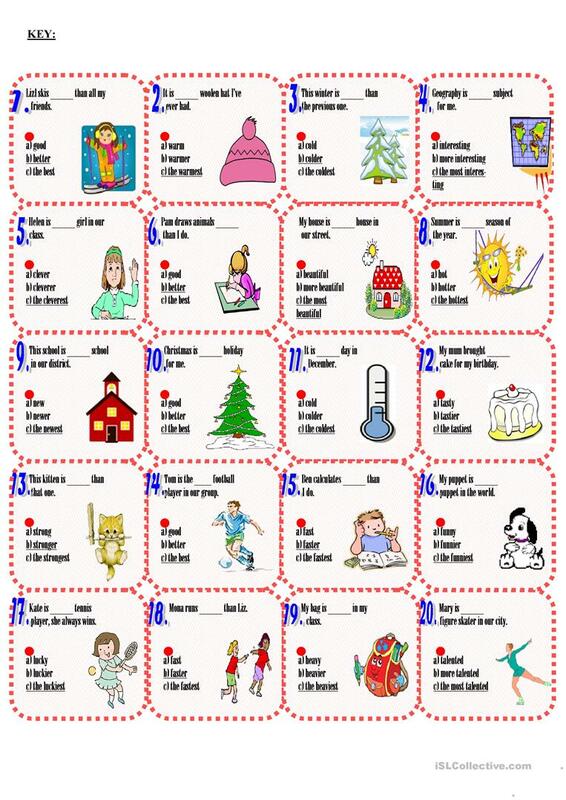 Twenty sentences for checking the use of the degrees of comparisons of adjectives. Key is included.Thank you!!! This printable, downloadable handout is meant for high school students, elementary school students and adults at Elementary (A1), Pre-intermediate (A2), Intermediate (B1) and Upper-intermediate (B2) level. 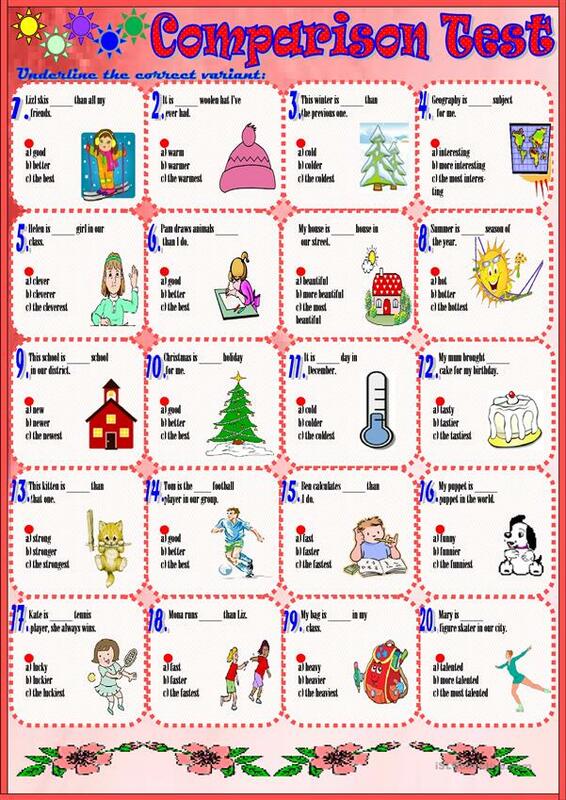 It is a useful material for practising Adjectives in English, and is a valuable material for strengthening your class' Speaking and Reading skills. You will find the answers at the end of the worksheet.